Playing casino online is now easier than ever with thousands of table and slot games available from many great game developers. Faster internet speeds, better software and high competition has also resulted in a flourishing industry with fantastic value offers and promotions that is great news for UK punters. 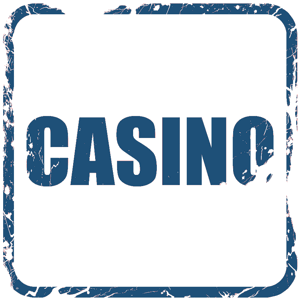 Casino gaming is licensed in the UK, and if you play with a regulated casino (like those we list below) you will receive all the same protections by law that you would do in a real world casino. This means your funds are secured and you are protected from fraud and misleading offers. Below we list some of the best any most reputable casino sites in the UK, all have been used and tested by us, over years in many cases, and we guarantee if you stick to these operators you cannot go far wrong. We have also selected a wide variety of websites to suit a broad range of players, whether you are looking for a smooth and sleek casino, vibrant and colourful, lots of offers, great loyalty, certain payment methods, etc., we’ve got a brand listed to suit you. Casino bonuses are some of the most generous offers of any type. This is not a con, these huge deals are a result of a very competitive market combined with lower overheads of running casinos online. They are certainly worth using, for more information about bonuses and features read our full casino reviews. Bear in mind that the offers shown in the reviews and in the table below are for new customers, you must be at least 18 years old to claim and terms and criteria will apply. Gamble responsibly. There are still more than a few people that enjoy taking a wander down to the bookies to place a bet or love to head to the casino in their local town in order to soak up the atmosphere. The reality is, though, that more and more gambling is done online than ever before. The proliferation of betting websites and online casinos means that there is more choice that there has ever been when it comes to having a flutter, to say nothing of mobile apps allowing people to place their bets on the go. Yet how do you discern between one site and another? How do you know whether a new bookmaker that has seemingly sprung up from nowhere is reputable? Is there any way to assess an online casino and know whether you should be placing your money in their hands? The answer to those questions is, of course, ‘yes’. That’s what we’re here for! You can read guides to how to place bets, articles about the types of welcome offers you can take advantage of and even reviews of all of the different betting sites. The British parliament has passed two different acts since the explosion of online betting in order to protect customers from rogue companies looking to take advantage of this brave new world. The first act was named the Gambling Act and it was passed back in 2005. The aim of the act was to ensure that the laws revolving around betting online were made much clearer. The main aim was to make sure that companies offering gambling products to UK customers operated openly, with honesty and fairness to ensure that these new sites couldn’t be used for illegal activities such as money laundering. Of course no act is perfect and the 2005 Gambling Act missed a few bits and bobs. In fact, around 75% of companies offering online bettering services were being regulated, leading to the introduction of the Gambling (Licensing & Advertising) Act in 2014. Since then the vast majority of companies operating some form of gambling site in the UK are regulated. If you’re unsure whether or not to sign up and place a bet with a company then have a look to see if they have a UK Gambling Commission licence. This is an independent body that was introduced on the back of the two different Acts of Parliament. 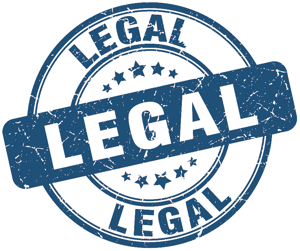 The Acts states that a company needed to have a licence issued by the UK Gambling Commission if they wanted to offer their services to people living in the United Kingdom. 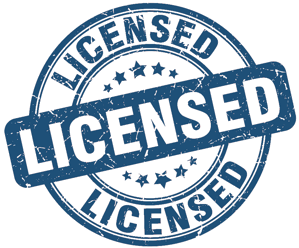 Companies apply for a licence and are then put through a rigorous examination of their credentials to ensure that they’re going to work in a responsible and fiscally secure manner. There are three different licences offered by the UK Gambling Commission and which one a company applies for will depend on the services that they’re hoping to offer. If they’re looking to use technology, such as a website or app, then they’ll want a remote licence. If, on the other hand, they’re not interested in using technology and mostly just want to set up a betting shop or casino in the traditional sense then a non-remote licence will do. Nowadays, of course, lots of companies offer a combination of the two and they will, perhaps unsurprisingly, apply for a remote and non-remote licence. One thing you’ll be pleased to know id that the UK Gambling Commission is an independent, public body that is non-departmental and therefore cannot be interfered with by political parties. 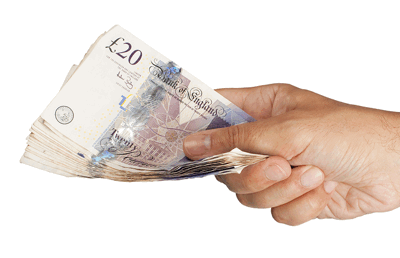 The very best way to ensure your money is safe is to only bet with a company that a licence issued by the UKGC. They have a responsibility to operate in a way that protects children and society’s most vulnerable people, so you know that you’re betting in the safest and most secure manner possible. Very few people that like to have a bet or two haven’t been caught up in the seductive world that they’re presented with. Perhaps you’ve been promised that a particular horse is going to win and encouraged to bet big on it. Maybe you’ve got yourself into a bit of debt and believe that one large win will solve all of your problems. It could be that you’ve got something coming up like a holiday or a wedding and need that big payoff to ensure you can do it all in style. The problem is that if the big payoff doesn’t come you’re in a worse situation than before and might throw good money after bad. That why it’s really, really important that you gamble responsibly. The good thing is that reputable betting companies acknowledge that they want to part you from your money, but only if it’s money that you can afford to lose. 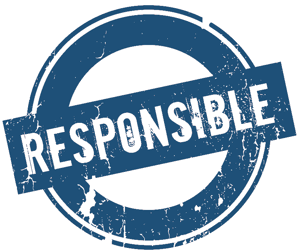 They promote responsible gambling and encourage you to take advantage of the systems they’ve put in place to stop you from getting yourself in trouble. You can limit the amount of money you’re able to deposit into your account, for example, and can also exclude yourself from being able to access sites on a voluntary basis. Don’t be ashamed of yourself if you feel that you’re losing control. Plenty of people have been there before, so there are numerous organisations like GamCare who are keen to help you. Have fun and, as the saying goes, if the fun stops then you stop. Gambling companies want you to be safe and clever with your betting, but there’s no getting away from the fact that they do want you to place bets with them. Over the years they’ve come up with some great adverts in order to win business, but sometimes they go too far. When that happens the Advertising Standards Agency will step in and stop companies from breaking the rules and regulations set out before them. The rules laid out for gambling companies are plentiful, but we’ll give you some examples of the sort of things they can’t do. They’re not allowed to appeal to people under the age of eighteen, for one thing. They’re also not allowed to suggest something that isn’t true. An advert would be cracked down on if it suggested, say, that you become more attractive simply because you were placing a bet on something. They’re also not allowed to say that your financial problems will be solved by having a flutter. If you think an advert is being naughty then you’ll want to get in touch with the Advertising Standards Authority, who will investigate the complaint. Speaking of complaining, it’s entirely possible that a situation might present itself during your time as a bettor that leads you to want to make a complaint. The first thing you should do is speak to the company you’ve been betting with directly. As part of their UK Gambling Commission licence they’re obliged to do everything that they can to resolve a complaint against them. Sometimes, though, they will feel as if they’ve done nothing wrong and you’ll need to turn somewhere else to get resolution to your issues. If this happens then the company you’ll be turning to more often than not is the Independent Betting Adjudication Service. IBAS, as it’s known, will investigate any matters set before them and all parties must accept their decision. 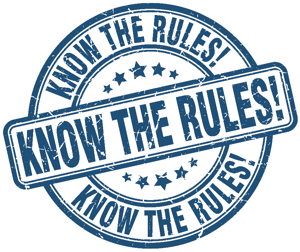 The reason we mentioned going to the bookmaker or company in question first and foremost is that the Independent Betting Adjudication Service won’t even engage with you on the issue if you haven’t done so. As long as you’ve tried to resolve it amicably, however, then they’ll investigate and come up with a solution that should be fair and impartial.